Wanna Smell Like Ariana Grande's Undying Love for Pete Davidson? You’d also kind of smell like “juicy pear.” Pear being the cut of Ariana Grande’s engagement ring, but the fragrance reps the beloved fruit. 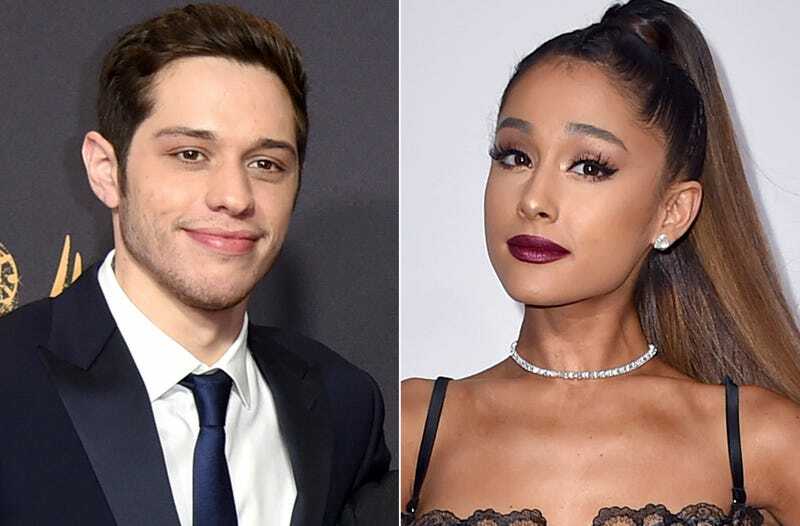 Grande unveiled her new perfume, “Cloud,” on Thursday, and Page Six quickly convinced me it contains several notes of her fiancé, Pete Davidson. Exhibit A: Davidson and Grande have matching cloud tattoos and cloud shaped phone cases. Exhibit B: Frequent use of cloud emojis on social media posts. Cloud 9? Clouded judgment? Just clouding around? Clearly the couple attaches some personal significance to clouds! Interesting use of Kanye lyric.